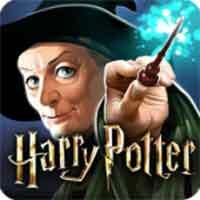 Guide for Harry Potter Hogwarts Mystery Year 2 Walkthrough – YEAR 2 CHAPTER 1 YEAR TWO BEGINS ! You return to Hogwarts after a restless summer, a little older, a little wiser, and much more curious about the Cursed Vaults. Welcome back to another year at Hogwarts, you will start at the Great Hall for the Welcome Feast ! You’re going to look for the correct stairs with help from ben and penny, but Ben is missing ! Penny will suggest you to ask between Professor Mcgonagall or His Prefect, Angelica Cole about Ben. There are 2 Lessons you need to learn : Engorgio and Reparifarge, for reparifarge you will have a new Transfiguration Class in this 2nd year ! In Courtyard Angelica will ask you about the cursed ice room, if you find anything, any clue or warning about potential threats beyond the room itself ? Black Quill ? and who is R ?